Lars Klevberg's Child's Play Remake recently announced its cast and has now provided the first look at their version of the iconic killer doll. Chucky has become a horror icon in the last thirty years and the character's creator, Don Mancini, is still making films in the franchise. However, Mancini will have no input in the new Chucky remake that is currently being made, marking the first time that he hasn't been involved in a Chucky project ever, which has left many horror fans with a negative feeling about the project. While the new look at the killer doll from the Child's Play remake looks like Chucky, it's not clear if it will actually be the same legendary doll. In a recent interview, director Lars Klevberg stated that the new doll will be a mixture of a practical doll and visual effects on the big screen, but did not go into details about the doll's backstory, leaving many to believe that the remake might be going for something new. Klevberg says, "Our Chucky will be our Chucky and he will be presented when the movie comes out." Seth Grahame-Smith, who produced Andres Muschietti's IT, is on board to produce the Child's Play remake as well and says that the franchise has always been a favorite for him. Lars Klevberg agrees and says that the Child's Play franchise was his gateway into the world of horror. As for making the film without the input of creator Don Mancini, Klevberg isn't worried and notes that the script is really good. He had this to say. "Everyone is a huge fan of Don Mancini. (If) he was making this movie with us it would be really amazing, but we understand he has his reasons. We are extremely grateful to him and will always be. He's someone I look up to." In addition to the new killer doll's backstory in the Child's Play remake, the voice of the character is also a mystery at this time. Brad Dourif voiced Chucky in the original Child's Play and its six sequels, and he will more than likely sit this adventure out along with Don Mancini, who is currently preparing a Child's Play TV show at Universal with longtime franchise producer David Kirschner. It's safe to assume that Dourif will also be working on the TV show as well. Aubrey Plaza stars in the remake as a mother who gives her son the mysterious doll, but we're just not sure who or what that doll will be. 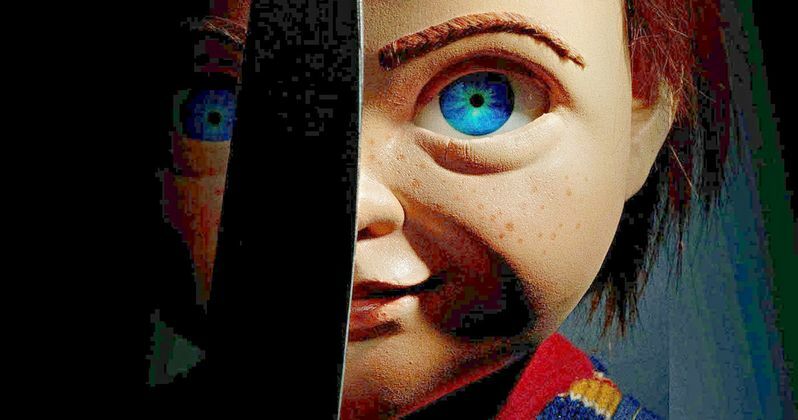 According to Lars Klevberg, the Child's Play remake is going to be "scary," with a surprising emotional twist, which really doesn't sound like Chucky at all, so maybe he really isn't in the remake. You can take a look at the new killer doll from the Child's Play remake below, thanks to MGM and Orion Studios, and judge for yourself.